Expedition Cafe is a counter service restaurant in Restaurants at SeaWorld Orlando. Our readers say it's good but not great. 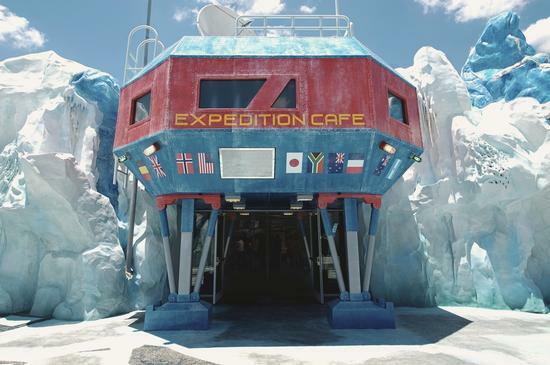 Opened in 2013 as part of the new Antarctica pavilion, Expedition Cafe is a food court offering American, Italian, and Asian dishes, celebrating international cooperation at the South Pole. Options include fried chicken, spaghetti, and teriyaki chicken, as well as prepackaged "grab and go" sandwiches and salads.